We recently shared information on Spring cleaning. Now I know that many of you are in areas where there is still snow on the ground and a chill in the air. That doesn’t mean that you can’t start your Spring cleaning. With a little careful planning, you can get a jump on those Spring chores before the tulips are in bloom. First, consult a reliable source for accurate weather in your area. That could be your local TV station or one of the many weather websites (weatherunderground, accuweather, etc) and find a day that will be sunny and dry. I did an entire Spring cleaning in a bedroom in our rental cabin yesterday; and the temperatures never climbed out of the 40’s. However the air was dry and the skies were clear. First, take all the washable bedding off of the bed. This includes all of your zippered covers for your mattress, box spring, pillows, duvets, and featherbeds. Get them in the wash with some De-Mite laundry additive and your favorite detergent. For your feather beds, comforters and other items that you cannot wash or do not like to wash you can use a combination of steam and sunlight to get rid of allergens and freshen these items up. The high temperature of the steam and the power of the ultraviolet light will reduce the allergens that you can’t wash away. A Vapamore steamer is perfect for this chore. I set up two areas for steaming: one inside where I could hang the items to easily steam both sides and a second outside where they could hang in the sun to dry. I used the fabric/upholstery attachment on the steamer to steam both sides of my Downlight comforter and featherbed topper. The same attachment worked great on pillows and my two comforters that are not washable. After each item was steamed, it went outside to hang in the sun to dry. In addition, I gave each a light mist of ADMS antiallergen spray. I couldn’t hang the pillows, but I able to set them in chairs! After everything was steamed and hanging outside, it was time to tackle the contents of the room. I vacuumed the floor to get up any loose dust then sprinkled down X-Mite Powder to freshen the carpet and neutralize allergens. The contents of the room (furniture, wall hangings, knick knacks, etc) were vacuumed with the round dusting brush attached to my Miele vacuum and then wiped down. Hard surfaces, such as baseboards, painted walls, and furniture were steamed with the Vapamore before wiping down. By the time I had this chore complete, the washable bedding was dry as were the steamed items that had been hanging or sitting out in the sunlight. The zippered covers went back on the mattress, comforter, featherbed, and pillows. Fresh sheets on the bed and then it was time to vacuum up the X-Mite powder and the room was complete. Spring cleaning on a less than Spring like day. It can be done! 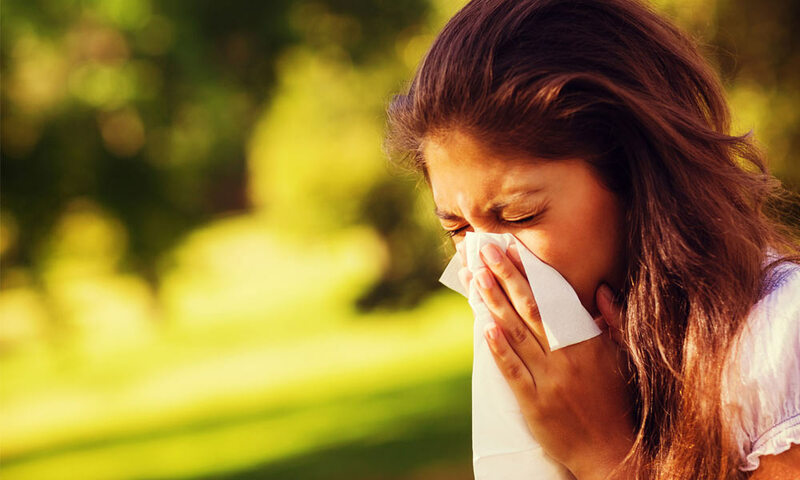 Do You Need a New Mattress if You Have Allergies?